Economic forecasts today reflect a remarkable variation. Some economists are predicting a rapid increase in economic activity within just a few months. Some are forecasting an economic decline that persists for years. At the root of the debate lies the question: where is the heart of darkness? Primarily, forecasters are focusing on the impact of the fiscal stimulus and the efficacy of monetary policy. Yet they have been less forthcoming to center on the real problem, which is fixing the banks. Government spending as economic stimulus is typically rejected by economists based on either a crowding-out or a Ricardian Equivalence theorem. The crowding out theory says that government spending can replace, or “crowd out”, more productive private investments. The perverse result is that the economy may slow down even more. The Ricardian Equivalence theory holds that future taxpayers, recognizing their increased tax obligations, simply increase savings by an offsetting amount. The result is no change in economic activity. Though I’ve simplified the respective cases, crowding-out and Ricardian Equivalence arguments are persuasive for most states of the world. So, for the moment, let’s reject fiscal stimulus as a way out of recession. What about monetary policy? One of Ben Bernanke’s contributions to monetary policy has been the notion that the central bank still has policy tools even when interest rates fall to zero. The FED can still purchase all sorts of assets. Those purchases increase the monetary base and directly impact targeted non-liquid markets. Continued action after interest rates reach zero addresses one criticism of Japan’s response to the 1990s in which their central bank essentially did nothing once interest rates reached zero. First we need to consider how monetary policy affects economic activity. We teach students that monetary policy works through a money multiplier. The money multiplier is based on lending by a fractional reserve banking system. The money goes to the banks, and the banks lend it out. The reserves are provided by FED purchases of financial assets. Of course the multiplier depends on the bank’s lending. What happens when banks don’t choose to lend? Scott Sumner, an economist at Bentley University, has pointed out that this is exactly the situation we have right now. The FED has been increasing reserves, but the banks are not lending. Since October, bank reserves and vault cash has grown to over a trillion dollars but lending has declined. Sumner recommends a penalty on excess reserves, but more is needed to restore bank lending. I see three significant issues that are driving the banks’ apparent reluctance to lend. First, banks appear to expect deflation. Fear of deflation is not unfounded. Prices are falling in many markets, impacting bank behaviors. I keep hearing that “Cash is king.” This is exactly what one would expect in a deflationary environment, and there is no obvious way to deal with it. You can tax excess reserves and vault cash. You can tax bank deposits. You cannot tax money that is under the mattress, and money under the mattress is profitable in a deflationary world. This is what some call Keynes’ famous liquidity trap. Technically, a liquidity trap is when zero interest rates make monetary policy ineffective. As Scott Sumner and others point out, the described situation is really an expectations trap. The problem isn’t zero interest rates, the problem is deflationary expectations. But if the “trap” makes monetary policy ineffective the arguments against fiscal stimulus are much weaker. This is where Paul Krugman says we are today, and it changes everything. We need to go back to fiscal policy to find hope for effective policy. If we are in a trap, it bolsters Krugman’s criticism that the existing stimulus is too little. To be effective, the stimulus would need to be very large, perhaps 40 to 50 percent of gross product. This would imply a stimulus package in the range of 6 to 8 Trillion dollars! But even if we were to follow this notion, I would argue that the composition of the stimulus would have to change. To be effective, government spending would have to create assets that significantly increase the productivity of private assets. We have examples from history. The Tennessee Valley Authority in the Southeast and Hoover Dam in the West cut private industry’s production costs by providing abundant and cheap energy. California’s water system, with its dams and canals, expanded agriculture’s productivity and range. Sadly, in spite of its size, the current stimulus plan has nothing that will significantly enhance private-sector productivity. And even any attempt to boost productivity investments is likely to run into roadblocks from the very powerful, well-connected green lobby which enjoys a far more favorable press than does business. Are we doomed then to deflation and slow growth? I don’t think so. The federal deficit, monetary policy, the impending Social Security and Medicare crisis, and baby-boom demographics imply eventual inflation. The real problem is with the banks. Banks can fail because of a lack of liquidity or a lack of equity. 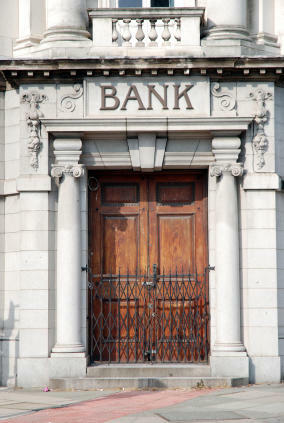 Last fall banks faced a liquidity crisis. There was a run on the entire financial sector. Today banks are probably facing an equity crisis, and the Treasury’s Toxic Asset Plan is exhibit one. The Treasury’s Plan does not make sense as presented. The plan is to leverage private sector resources, expertise and cash, with government funds to purchase underpriced toxic assets. This would supposedly reveal a true price for toxic assets. However, Gary Becker and Jeffrey Sachs have convincingly shown that the plan provides strong incentives to dramatically overprice the assets at the taxpayers’ expense. What if those toxic assets are already correctly priced? The Treasury’s Toxic Asset Plan does make sense if the banks are insolvent, and policy makers are unwilling or unable to more directly and transparently tackle the problem. To me, the Toxic Asset Plan looks a lot like a backdoor way to recapitalize the banks. If so, we have a problem. Insolvent banks must deleverage as rapidly as possible. That is, they must reduce assets, and a bank that is reducing assets in not a bank in the lending business. Here our problem is a variation of the problem faced by the Japanese in the 1990s. Their economic malaise continued for a decade in large part because they would not or could not clean up their banks. We and the rest of the World told Japan, time and again, that there was a toxic asset problem at their banks. Informed observers, inside Japan and out, knew that the core problem was bad bank assets. Today, the United States is probably in the same position. Our banks and other financial institutions are in trouble. They are sitting on a bunch of bad assets. If the banks recognize their bad assets, their equity is inadequate. The banks’ unpopularity prevents a bailout or a restructuring, but policy makers are afraid to let them fail. The other solution would be the Swedish solution, but policy makers don’t want to be accused of nationalizing the banks. Right now even President Obama lacks the political capital to address the problem. So, we get the convoluted Treasury Plan. What we need is political courage. We need to clean up the banks, and it doesn’t much matter how. We could crank up the bankruptcy courts, or we could implement the Swedish plan. Inaction will only prolong the economic pain. Backdoor plans from an unpopular Secretary of the Treasury aren’t going to get the job done. The sooner we clean up the banks, the sooner they will return to the business of lending, and the sooner we will have a recovery. Bill Watkins, Ph.D. is the Executive Director of the Economic Forecast Project at the University of California, Santa Barbara. He is also a former economist at the Board of Governors of the Federal Reserve System in Washington D.C. in the Monetary Affairs Division. Submitted by Susanne Trimbath on Thu, 04/23/2009 - 12:29. Bill: thanks for your expert description of the economic concepts. I'm sure it will help advance the discussion for a lot of people. I believe there is a seminal problem to fixing banks with toxic assets and that's to fix the toxic assets. Our financial system condones and supports the selling of financial products in excess of the underlying assets. E.g., credit default swaps are sold to buyers with no "insurable interest" in the underlying bonds or loans. This recipe for toxic assets has a simple fix, and one that will come from the accounting department: balance assets with liabilities. On your point about the size of the stimulus: although a small part is technically "fiscal", the overall payout from the federal government is already $11 trillion. I hope you will continue to make your argument about the composition of this spending. The lion's share is going into the black hole of financial products without underlying assets. Submitted by Bill Watkins on Fri, 04/24/2009 - 09:17. Balance asset with liabilities, what a concept! Good point on total spending and on the composition. Submitted by kenstremsky on Thu, 04/23/2009 - 15:49. What do you think governments should be doing to help community banks? 'Why are community banks paying for the sins of Wall Street banks?'" The column discusses banks in Canada. I think governments should be pumping tax dollars into small and medium sized banks and credit unions so that they have more money to loan to small businesses. The governments would obtain interest from their accounts. Small businesses might be able to hire more people and innovate more. Submitted by Bill Watkins on Fri, 04/24/2009 - 09:13. I do worry that regulators would like to get rid of community banks. They would prefer to supervise a relatively few large banks. So, I don't expect any help for community banks from any source. I think most community bankers would like regulatory relief and an level field with the credit unions. Submitted by kenstremsky on Sun, 04/26/2009 - 19:32. Submitted by Susanne Trimbath on Fri, 04/24/2009 - 10:43. Some that I've talked to feel that they are being made to pay for problems created by money-center banks: their deposit insurance premiums went up 10-fold. Some, like American National Bank (right outside my window in Nebraska), are forced to pass charges through to account holders.